SAN JOSE, CA – Those who live in San José will not have to go over the rainbow to see the wizard of Oz, all they have to do is walk to the box office of the MONTGOMERY THEATRE, buy a ticket and allow themselves to be, vicariously, transported to the Emerald World of OZ, a world populated by flying witches, flying monkeys, and where a cowardly lion, a rusted tin man and a brainless scarecrow, talk, sing and dance as they walk on the “Yellow Big Road” escorting Dorothy to the Wizard’s castle to ask him to tell her how can she go back home. As Marketing Manager of SAN JOSE CHILDREN’S MUSICAL THEATRE, NIALL ADLER ‘s main job is to attract people to CMT so that they can discover the top quality of its performances. “There is a misconception, among people that because the name of our theatre has been Children’s Musical Theatre for years, it is a theatre acted by children or a theatre for children” adds NIALL, “which is not true. This year, for instance, we are having White Christmas, in December, and next year Spamalot and five more shows cast by High School and College-age kids. Often, those who come to see our shows are surprised when they see our actors and the quality of the performances we present. CMT’s performances are wonderful, and they can be seen right here, in San José. They are live, with live music and offered at a price that everybody can afford." “Getting to study at CMT is easy and a lot of fun for the kids. Any parent interested in having his or her kid learning to act at CMT can look in our website, www.CMTSJ.org read about the different programs we have. and learn how to get an audition for their children. " “CMT, have two people, KEVIN HAUGE, who is our Artistic Director and SHANNON SELF, who is our Artistic Manager, and they are the ones who teach the children the basics of acting, Our theatre company is made up of many artists, some of which came to study here when they were six or seven years old, and then went into high school, and college and became professional actors. But the most unique thing about CMT, is that it accepts every child who auditions, and trains that child by allowing him or her, from the beginning, to act in our high quality productions. " “Most of our classes start after school for a couple of hours and we work with the students to accommodate their schooling with their acting so that they can do both, rehearse and go to school. 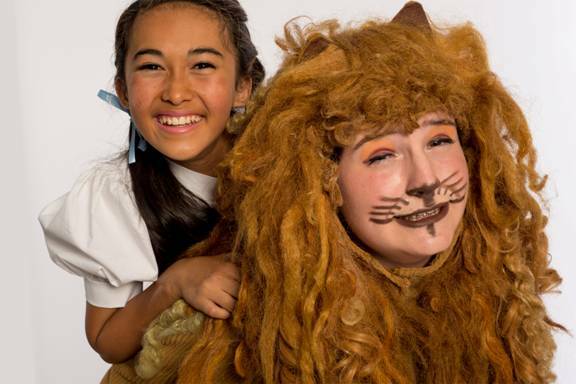 Since learning theatre is something completely new to a child, learning at CMT is like going to school, but it is fun, and the child makes friends and learn team work in the process." 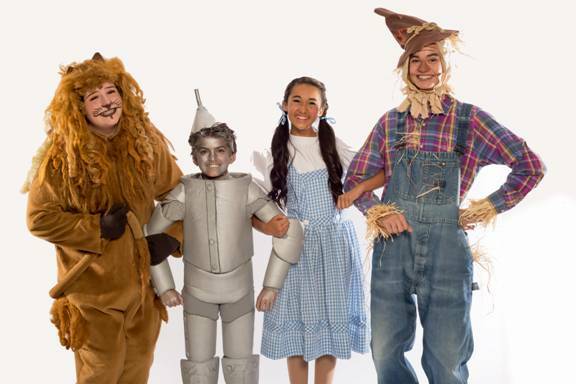 THE WIZARD OF OZ will open on Friday, November 15th, with LAURA EGLIN directing the classical musical which follows Dorothy from Kansas to Oz. So for two weeks, we all can follow the yellow big road to the Montgomery Theatre. in dowtown San Jose, and join Dorothy, the Tin Man, the Scare Crow and the Cowardly Lion on their way to EMERALD CITY to visit to the wonderful WIZARD. Tickets for the show are $18 for adults and $14 for children, 12 and under. Tickets can be purchased by calling (408)288-5437 or by visiting www.cmtsj.org/tickets.